Sometimes there is too much rain for the earth to absorb resulting in pools of stagnant water and flooding. Sometimes after a huge feast we are so stuffed we literally cannot take one more bite. To make foie gras, farmers (cruelly) ram rods down the throats of ducks and geese to force feed them till they can barely stand up. This is where much of humanity is right now with technology. We are saturated with 24/7 “connectivity” in the name of “progress”, “convenience”, or “public safety”. We cannot take even one more bite. “Please give serious thought to not getting on the 5G bandwagon. There will be massive advertising campaigns in the months and years to come, designed to get everyone to switch over to 5G phones. You don’t have to bite the bait. 4G smartphones and 3G phones for voice and texting are adequate for everyday use. We don’t need 5G technology to live happy and productive lives! You might even consider whether this is a good time to just turn off your cellular service and live a less hectic life. You could join the small minority of people who are minimizing their microwave exposure by simply living without a cell phone of any type. It is important to consider that the demand for better cellular service is not coming from consumers, but from mega-corporations who are trying to create a market for a new set of products. It’s not really about better service, but about greater profitability for corporations who don’t mind killing off people with microwave radiation in order to turn greater profits. It is also about creating a system that will enable central control over every aspect of human life. Heart-warming way to begin the New Year!! May the “woes” of technology stocks plummeting fuel our awakening to the beauty and glory of the Natural World, and our connection to one another, the earth, and to our deepest yearnings. Envisioning a year of awakening. With much gratitude to Americans for Responsible Technology for this model ordinance. PLEASE SEE THE JANUARY 2019 GRASSROOTS ENVIRONMENTAL EDUCATION’S UPDATE COPIED BELOW. “We’ve collected the best ideas from cities and towns all over the country that are pushing back against the FCC and the unfettered rollout of small cell wireless facilities. With much gratitude to Electromagnetic Safety for this 2018 “year in review” of “the science”. With much appreciation to Dr. Moskowitz from EMR Safety for this comprehensive overview of the year. This 2010 article documents the history of suppression of evidence regarding health effects from RF/microwave radiation (wireless radiation). Article includes cell towers and WiFi as well…but obviously, not “small cells” outside our homes. With 5g, the corruption and suppression is now on steroids. The public must insist on safe technology, and not settle for the wireless infrastructure that industry and government are ramming down our throats. Wireless is unsafe, unreliable, energy consumptive, invades our privacy, and puts us all at risk for devastating cyber attacks. All communities must insist on safe, fast, reliable, energy efficient and cyber secure fiber to all homes, schools, and businesses. 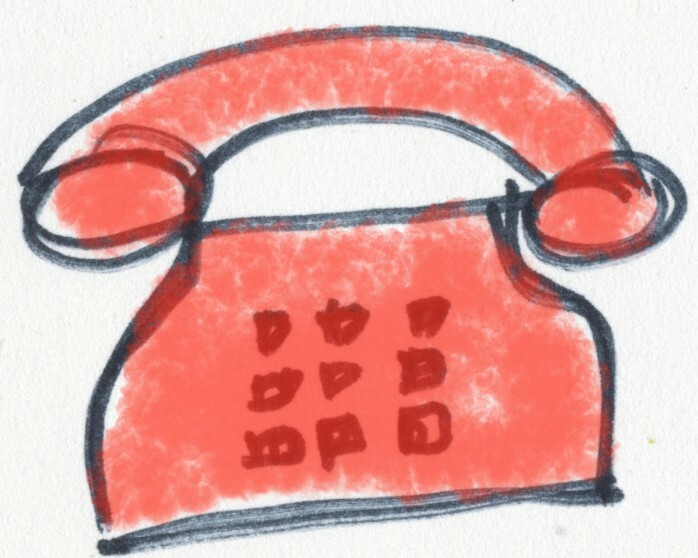 Wireless should be reserved for short calls when out-and-about, and text messages. The bulk of all data transmission must be sent and delivered through wires, and not sprayed through the air wirelessly. A challenge by dozens of cities and counties to a Federal Communications Commission order aimed at speeding up the deployment of 5G network infrastructure is back in the U.S. Court of Appeals for the Ninth Circuit. The U.S. Court of Appeals for the Tenth Circuit Jan. 10 granted a bid by San Jose, Calif. and other local governments to transfer the case to where they had originally sued. The court also denied their bid to stay the FCC’s order pending the litigation. The order is set to take effect in part on Jan. 14. The transfer is “huge news,” Robert (Tripp) May, counsel for the League of California Cities and several other local government petitioners, told Bloomberg Law Jan. 11. “Between the two, I would take the transfer over the stay seven days a week,” May, a telecom partner at Telecom Law Firm PC in San Diego, said. Petitioners now can ask the Ninth Circuit to halt the order, even after it takes effect, May said. San Jose and 22 other cities and counties sued to overturn an order restricting how much local governments can charge wireless carriers to process applications for small cell equipment that’s critical to 5G. The order also imposes deadlines for cities to grant or deny the applications. More local governments, as well as Sprint Corp., AT&T Inc., and Verizon Communications Inc., later filed separate petitions against the order in other federal circuit courts. The United States Judicial Panel on Multidistrict Litigation consolidated the petitions and chose the Tenth Circuit to hear the case. The petitioners argued that the Ninth Circuit should hear the case because the FCC order ignores a Ninth Circuit interpretation of the Telecommunications Act of 1996. The law says governments can’t stop entities from providing telecom services. The Ninth Circuit has held that an entity must show “actual or effective prohibition” to allege a violation. The FCC’s order essentially says that if a city makes it harder for a carrier to provide telecom services, that amounts to a prohibition, May said. The FCC and the wireless carriers had opposed the cities’ bid to transfer the case. Spokespeople for the FCC, Sprint, and Verizon declined to comment. AT&T didn’t immediately respond to a Bloomberg Law request for comment. The main case is City of San Jose v. FCC, 10th Cir., No. 18-9568, 1/10/19. Ricocheting off last week’s Internet outage where thousands of 911 calls failed, and in some places medical records were inaccessible, Dr. Devra Davis examines our current dependency on wireless. J.C. Dvorak didn’t mince words when he reported on some of the failings of 5g. In this excellent “Thrive” article, Dr. Devra Davis segues from Dvorak’s dismissal, and touches on many of the key points of why we need to change our trajectory regarding Internet and Telecommunications technology. Coverage of the recent Pima County 5g Awareness Coalition Public Forum. Links to videos et al. …And we’re expected to roll over and play dead with one of these in front of our home??!!! High exposure from cell tower near schools resulted in delayed fine and gross motor skills, spatial working memory, and attention in school adolescents compared to students who were exposed to low RF-EMF. Study as described in title. Cyber attacks add to the growing public mistrust of Internet-connected cars and “things”. Wish this were a bad dream we could awaken from…but alas it’s not. Yet there’s still a chance we can create a better tomorrow for us All. If we can awaken in time. 20,000 satellites are slated to be deployed in the next few years, raining down radiation upon the earth. These towers will complement the increasing densification of our neighborhoods with 4g/5g “small cells” next to or near our homes rendering our environments extremely hazardous to both humans and wildlife. “As bad as these small cell towers might seem from the standpoint of constant exposure to radio frequency (RF) radiation in close proximity to the source, perhaps an even more alarming prospect will be the beaming of millimeter length microwaves at the earth from thousands of new communication satellites. For information about ways you can help (for those in the US), please send an email to rethinking5g@whatis5g.info. The creativity and genius of humanity is only surpassed by the utter stupidity of how we choose to use these gifts!. The bulk of the article goes on to discuss the legal ramifications of someone making an unauthorized purchase on an Alexa device. Would the owner be legally liable to pay for it? But what’s completely overlooked in the article is the sheer insanity of an everything Internet-connected world which will be disruptive in ways unimaginable. It seems that might be a more significant takeaway from this story. Bewitched technology (for those of us who remember the TV show) receives FCC approval. Soli radar will operate in the 57- to 64-GHz frequency band at higher than current allowable power levels…(if I understood correctly). Excellent resource with a slew of articles, videos and studies related to declining property value around cell tower installations. 4g/5g cell antennas in front of our homes = highway robbery by Telecom companies for their benefit at our expense. Do we really want to subsidize Telecom companies to the tune of thousands of our hard-earned dollars. Boggles the mind how our government is allowing Telecom to deploy “small cells” outside our homes when no insurer wants to cover health effects from non-ionizing radiation. 5g and the IoT are clearly not the direction we should be headed. If you’re not in you can’t win. Please give this opportunity from IARC your consideration. This does not bode well for the 5G roll-out. The driving force for introducing “xG” cellular services (ie, 3G, 4G LTE, 5G, etc.) all along has been the mobile devices we now mostly call the “smartphone”. Sales expectations of new smartphones has also been the big driver for 5G. All the other 5G (IoT) stuff (e.g., connected cars, home automation, wearables, AI, VR, industrial, etc.) is so far quite so speculative, diverse, undefined, unclear, and risky that it will not provide a basis for the major network investments that would need to be made for 5G. The smartphone market has peaked, so it will not justify the investment either. This is why the industry is putting out so much hype and dabbling with 4G or 4.5G devices, re-labeled as “5G”. This is also why the Verizon CTO Kyle Malady ran the big full page NYT and WSJ ad  insisting on only “genuine” 5G product releases—which was actually an attack on AT&T. The telecom industry is in a quandary. Apple’s stock has taken a big hit, and so will the others. The 5G “anchor” application has broken loose and the industry is adrift. Building the markets for the many diverse IoT applications is a long-term project and will take many years or decades—and much of it does not require 5G since it can be done with 3G, 4G or even other alternatives (e.g., fiber and WiFi). A lot of it can be done with cheaper wireless alternatives and I would say that most of the industrial stuff does not even need to be wireless. The connected car or driverless car is mostly hype, unnecessary, uneconomic, and is a completely undefined market. The “smart city” applications mostly do not require wireless. Also wireless “smart city” sensors or low power energy harvesting sensors would not use 5G anyway due to their power or cost constraints. I conclude that now is the time to strike against 5G. It is weak. Through local pushback, legislation, and pressure on multiple fronts, the wheels can come loose on this Juggernaut by highlighting the risks and scaring off the investors. At the same time we can push for the alternative of community fiber which will be far better for everyone for many reasons. Fiber is where the investment should go. The “Big Hangup”/”Smartphone Overload!” article may seem a bit misleading, but if you read between the lines, it is clearly defensive, even in the title. Basically it says “don’t look to smartphone sales to carry the 5G market.. look to something else..” But everything else is nascent and undeveloped. This is key to understanding the situation. The WSJ print edition version of the article today included three important charts that tell the story of declining smartphone sales. Unfortunately the version that is downloadable from the WSJ website did not include these charts, although they are visible in the “digital replica” version. I have pasted them into the attached .pdf of the article after page 4 for you. One chart shows change in global smartphone shipments peaking in 2014 and now at close to an all-time low. Both Samsung and Apple have taken huge hits on their stock price because of this decline. There is no solid basis for 5G growth and investment without smartphone sales. The other stuff will take years to established a market. If you have not met before, please allow me to introduce you Sarah Aminoff. I met Sarah through the Generation Zapped film, she is one of the people in the montage of those with microwave sickness. She has worked very hard in California to raise awareness, and is responsible for the San Francisco Unified School District teacher’s union recently adopting an EMF resolution. She is now working on other ways to help get word out on the need for technology safety, and the Sierra Club suggested she do a PSA with children affected by EMFs. She is now exploring the possibility of doing so. If you have a child with microwave sickness and would like to help with this project, please reach out directly to Sarah via the email below. Thanks, as ever, for your time and consideration. I live out in the country now and am (happily) on the other side of the digital divide. The drawback is there is no fiber or cable where I live. But unfortunately, the way things stand at the present moment, if there were fiber, there would likely be one or more cell towers near me. But since I don’t have fiber, I must resort to satellite for access to the Internet, therefore, I never watch videos from my home as they spew boatloads more RF than text. All to say, I haven’t watched the following video. In Israel, parents are fighting to have a cell tower that is right beside a high school removed after learning that nearly 60% of the kids attending suffered health problems consistent with exposure to microwave radiation. They held a 3 month strike to emphasize their concerns. Below is a 1½ minute YouTube explaining their battle and concerns. You know that under current law we have not been allowed to protest the erection of cell towers, even near schools and in residential areas, based on health concerns. Well, the very first lawsuit addressing this issue by contesting the constitutionality of the 1996 Telecommunications Act was filed in Santa Fe, New Mexico on December 21, 2018 by Arthur Firstenberg and others. 134. The FCC has no statutory authority over human health, and its RF (radio frequency) exposure guidelines are neither mandatory nor enforceable. 135. The FCC has stated repeatedly that its RF exposure guidelines are procedural only and serve only to determine whether an FCC licensee must file an Environmental Assessment or not. Non-mandatory regulations cannot have preemptive effect. Yet, Section 704 gives these regulations preemptive authority, prohibiting States and local governments from adopting any regulations more stringent than those adopted by the FCC. 136. Section 704 prohibits States and local governments from providing any remedy for injury by RF radiation without providing a substitute federal remedy. This prohibition violates Substantive Due Process because it forecloses any and all remedies for injury by RF radiation. 143. Section 704 violates the First Amendment right to Free Speech. 145. Section 704 deprives persons threatened with injury of the right to be notified, of the right to participate in the decision, of the right to protest that decision, of the right to appeal that decision, and, when they are injured, of the right to tort relief or any remedy whatsoever for their injuries. 146. Section 704 violates the First Amendment Right to Petition the Government for Redress of Grievances. To be successful, this lawsuit, as well as the International Appeal to Stop 5G, needs financial support. To help us get this support, we are looking for a person experienced at raising funds. A prospectus is being prepared which will detail the funds needed, and the commissions the fundraiser will receive. If you, or anyone you know, can raise funds, and believes in this cause, please let me know, or contact Arthur directly at info@cellphonetaskforce.org His phone number in New Mexico is 505-471-0129. I hope 2019 brings each of us peace, joy, happiness, good health, and wonderful surprises! What’s past is prologue. 2018 was a year of great challenge, of learning, of success and disappointment as the battle was joined to push back against the “race to 5G” and the rush to deploy hundreds of thousands of new wireless antennas in neighborhoods across the country. Now, as Shakespeare might say, the stage is set. As we enter this new year we are encouraged and optimistic that despite the overwhelming power and size of the wireless industry, our simple, clear and compelling message is beginning to get through to the public. We are grateful to the scientists and researchers around the world on whose work we depend for their courage and persistence in seeking the truth, and to all of you who give your valuable time to this important effort to protect our health, safety, privacy, property and environment. For the first time, magazine and online articles extolling the virtues of new technology are including caveats about potential health risks. Elected officials are demanding that the FCC justify its claims that the new technologies are without risk. Real estate agents are voicing concerns about potential loss of property value, and privacy experts are warning that antennas everywhere means you can be tracked anywhere. 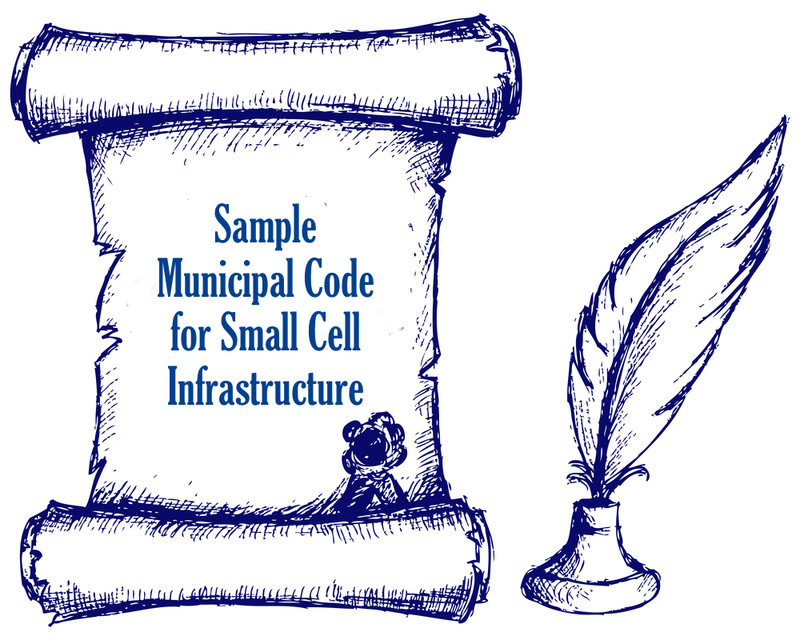 Many municipalities do not currently have any code on the books to deal with this new technology – their code was written for cell towers – and they are at the mercy of wireless providers or contractors who are, as you can imagine, only too happy to provide their own model code. This new document is a work in progress, and includes some of the best, most protective ideas we’ve found after reviewing codes from dozens of cities and towns around the country, although we will say upfront that none of our lawyers were able to devise any method of mandating truly protective setbacks that would not be easily and successfully challenged in court. 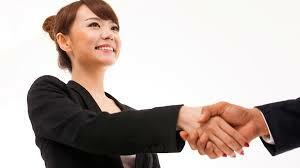 Social media is not the only way to reach new audiences, but it certainly doesn’t hurt. We’re doing a lot of posting these days with three target markets in mind (see below), and you can help by either (1) reposting and sharing with friends, family, neighbors and other contacts, or (2) requesting photos or other materials from us and making your own posts. We’re here to help you! 1. Property values may be in jeopardy because of 5G. If you have family or friends in the real estate business, please find and share our posts about the potential for real estate values to decline significantly when a 5G antenna is located on a property. 2. Proven health risks from chronic, low-level exposure to RF radiation. If you know parents of young children, please find and share our posts on the known risks of chronic low-level exposures, especially for vulnerable populations. 3. Privacy – If you know someone who is wary of government intrusion in our lives, please watch for our posts on the astounding surveillance capabilities of a network of wireless antennas in every neighborhood in America. Some of our social media outreach will be accomplished using paid promotion using your contributions and those of our very generous funders, but without question the most effective and influential method is peer-to-peer. This is how groundswells happen. 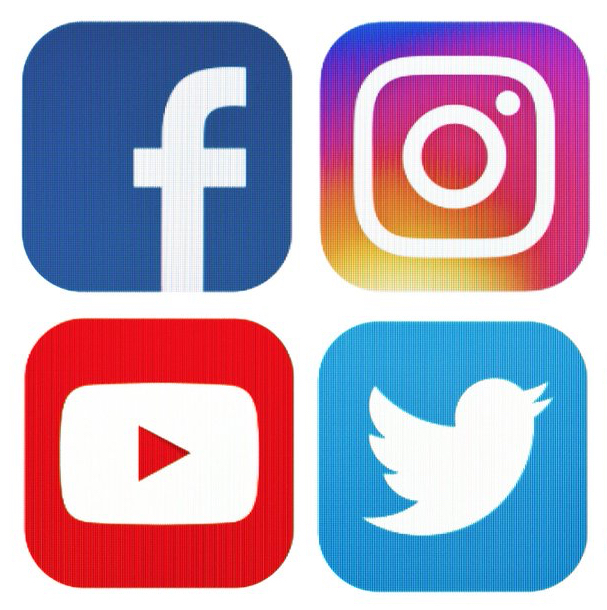 Find all of our social media posts here. For other ideas and materials to share, please see the new Tool Kit located on our TelecomPowerGrab website. 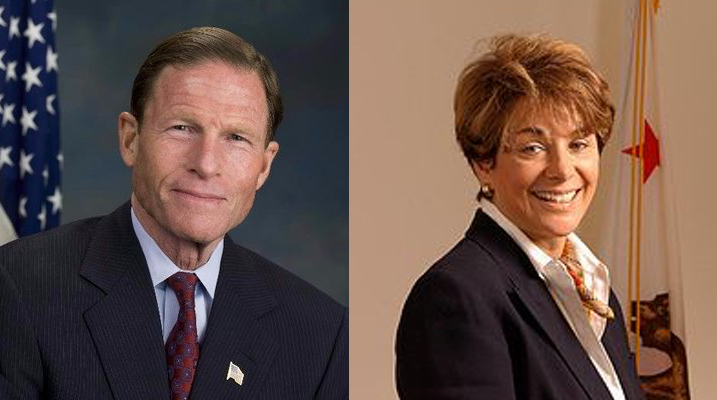 Senator Richard Blumenthal and Congresswoman Anna Eshoo have really helped move the ball forward with their December 3rd letter to FCC Commissioner Brendan Carr, demanding to know the basis for his public statement that the FCC has determined that 5G technology is safe. Carr’s statements are in stark contrast to the recent study by the National Toxicology Program of the NIH, which found “clear evidence of cancer” in lab animals exposed to wireless radiation, according to an expert panel which reviewed the study’s findings. Ask #1: Please join Senator Blumenthal and Representative Eshoo by writing to the FCC and demanding the evidence on which Commissioner Carr’s claims of 5G’s safety are based. Ask #2: In the next FCC oversight hearing, demand to know why the FCC has not updated its long out-of-date RF human exposure guidelines to consider biological, not just thermal effects. Ask #3: Support a moratorium on the deployment of new 5G antennas in residential areas until long-term exposure has been proven completely safe. If you can’t get to Washington or meet in the district, phone calls to Washington are the next best way for you to get your message heard. To find your representatives, click here. Americans for Responsible Technology is here to help you. Call us at (516) 883-0887, Monday through Friday from 9am to 5pm, Eastern time, and let us know what we can do for you. Thanks for being part of ART!